In a small bowl combine the ketchup, mayonnaise, and sweet relish. 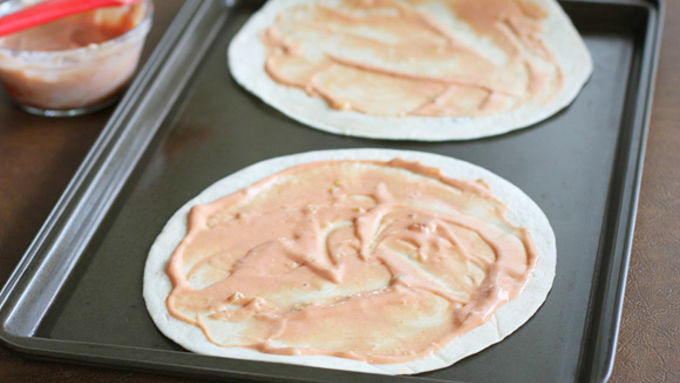 Spread each tortilla generously with the sauce on one side. Reserve the remainder for dipping. Brown the beef adding the salt, pepper, and Worcestershire while browning. Drain the fat. Add the onions when beef is almost done and brown until tender. Preheat skillet to medium heat and add some butter to the pan. Place one of the tortillas, sauce side up, on the pan and sprinkle the beef and onion mixture on top. Sprinkle with 1/2 cup cheddar cheese. Top with the second tortilla, sauce side down. Cook for a couple of minutes per side or until cheese has melted. I found it helpful to use two spatulas to flip the quesadilla easily. 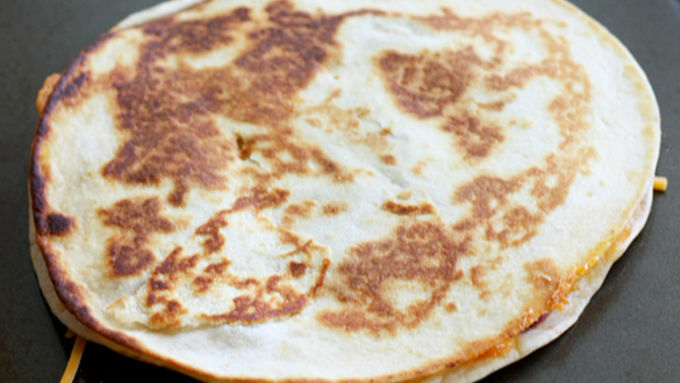 Slice each quesadilla into four pieces. Top with lettuce, tomatoes, and pickles. Dip into salsa for a spicy kick. Cheeseburger fixings piled between two layers of buttery tortillas. Yes, this just happened. 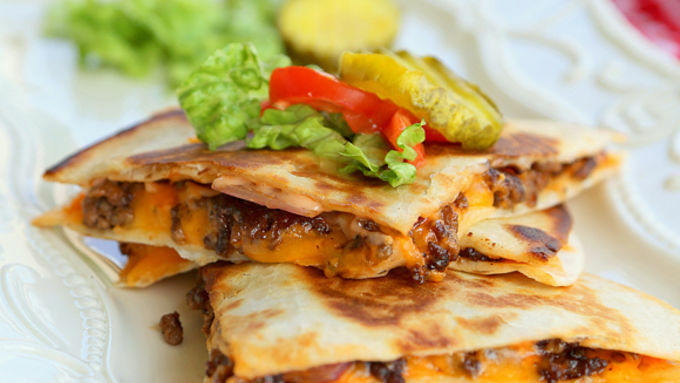 If you love cheeseburgers and quesadillas, then put the two together and it's an absolute cheesy mouthful of flavor. 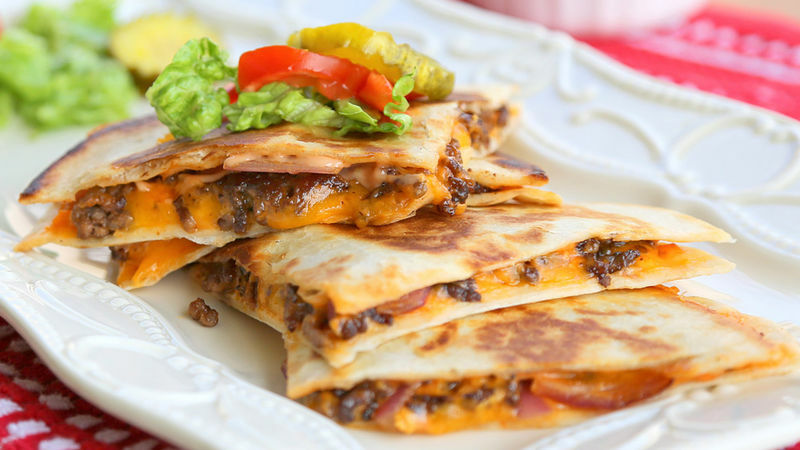 And the best part of these Mexi Cheeseburger Quesadillas is that you can slice them into however many small little wedges you want so that you can indulge a little, or over and over. It all starts with the secret special sauce. It's a little ketchup, a little mayo, and a spoonful of sweet relish. Together it tastes like the essence of a burger. There's nothing worse than a dry burger, and we wanted to make sure that these quesadillas didn't have that problem – so slather two tortillas generously with the special sauce. 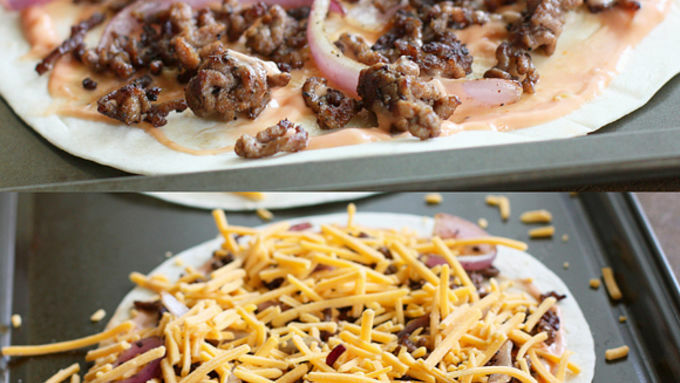 Add onions and a whole lot of cheese on top, but you could add any other toppings that float your boat here. We added some pickles, lettuce, tomatoes, and sides of salsa and special sauce for dipping. Sidenote, it's probably best to keep the lettuce and tomato for topping later because no one likes wilted lettuce and warm tomatoes. It tastes just like a cheeseburger...but WAY better for some reason. Sooo good. Love Mexican to the max? Then treat your mouth to more of our Mexican-inspired meals .